2015 GMC YUKON XL Printer Friendly Flyer. 2015 GMC YUKON XL " DENALI ", ALL WHEEL DRIVE, 20-INCH WHEEL, BLACK ON BLACK LEATHER INTERIOR, TOP OF THE LINE, PURE LUXURY, HEAD-UP DISPLAY, POWER SUNROOF, NAVIGATION, BACKUP CAMERA, FRONT AND REAR PARKING SENSORS, 3RD ROW SEATING, SECOND-ROW BENCH SEAT, POWER RUNNING BOARDS, HEATED POWER-FOLDING OUTSIDE MIRRORS, KEYLESS IGNITION AND ENTRY, BLIND-SPOT MONITORING, HEATED STEERING WHEEL, HEATED AND VENTILATED EIGHT-WAY POWER FRONT SEATS, MEMORY SEATS, HEATED SECOND ROW SEAT, POWER FOLDING SECOND-AND THIRD-ROW SEATS, AUTO DIMMING REAR VIEW MIRROR, BOSE SOUND SYSTEM, LUGGAGE RACK, CD PLAYER, ABS, SRS, ALARM, ONE OWNER, 73K MILES JUST SERVICED w/CLEAN CARFAX HISTORY REPORT, GREAT VALUE, MUST SEE……..
Yukon Denali adds the more powerful engine, 20-inch wheels, adaptive magnetic suspension, xenon headlights, an 8-inch customizable display in the gauge cluster and an upgraded 10-speaker Bose surround-sound audio system. 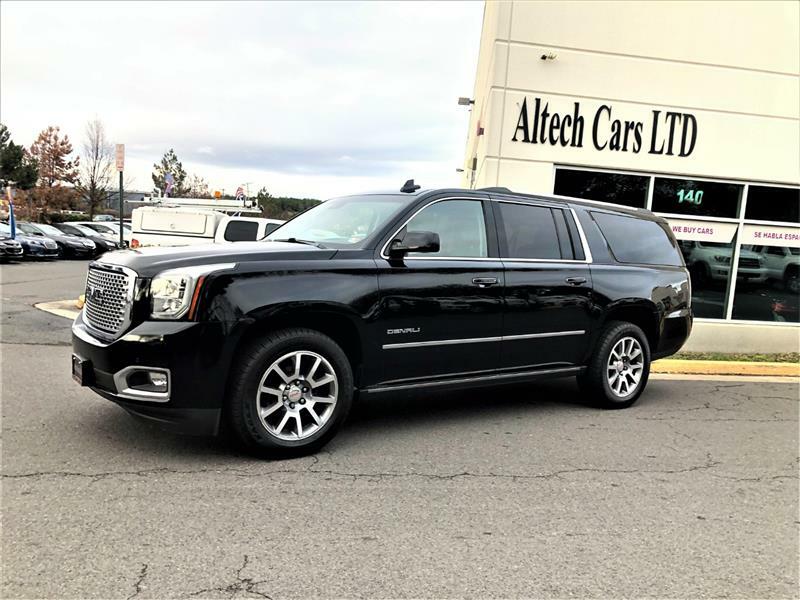 2015 GMC Yukon XL is a top choice when it comes to large, traditional SUVs that can tow heavy loads and haul large families.